 One of the biggest motorcycle shows in the world is back for 2018. 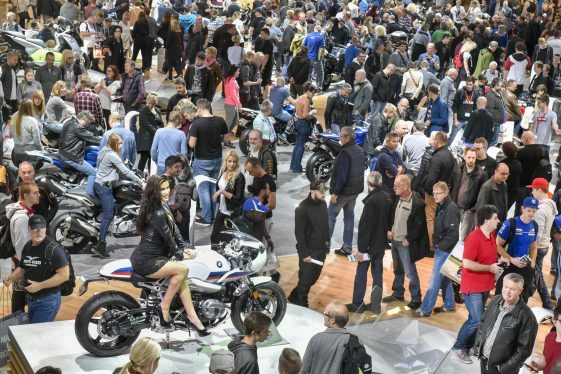 More than 300 exhibitors from 30 countries have confirmed their participation in the motorcycle event of the year, taking place from 3 to 7 October 2018, including almost every renowned manufacturer and brand. As the leading international platform for the industry’s global players, INTERMOT is the preferred stage for exclusive presentations of their premieres and innovations. Because only in Cologne do they come into contact with more than 59,000 trade visitors from approximately 100 countries. Accordingly, almost every renowned company supplying vehicles, parts and accessories, clothing and equipment, as well as electric mobility products and services, has confirmed their participation at INTERMOT 2018. Among others, BMW Motorrad, Harley Davidson, Honda, Ducati, Kawasaki, KTM, Triumph and Yamaha will be on the starting grid in Cologne. INTERMOT customized is being extended, having successfully positioned itself as a show-within-a-show format at the 2016 event. INTERMOT customized is a dedicated presentation platform for the steadily growing custom scene. This is where international protagonists of café racers and modern custom-builds from the V2 custom scene, as well as the New Wave custom scene are represented. And the new INTERMOT bike, a Yamaha XV 950 R drag-style bike customized by Marcus Walz, will also be on show at INTERMOT for visitors to marvel at – including being live in action in sprint races that will again take place in the outside grounds. The big manufacturers such as BMW Motorrad, Harley Davidson, Kawasaki and Yamaha will again be showcasing their custom and heritage lines. And of course, as a part of INTERMOT customized, the AMD Championship of Custom Bike Building will once again take place this year.